The beaches in the Outer Banks stretch for more than 100 miles along barrier islands that frame the eastern coast of North Carolina. These sands are known for their cleanliness and their family friendliness. Each beach has something different to offer travelers, but take note that lifeguards are on duty on all beaches – except Duck – between Memorial Day and Labor Day. The shores at Hatteras Island are known for their fishing and sailing (the lighthouse at Cape Hatteras is the tallest in the United States) as well as their campgrounds and 4×4 beach driving. The northern shores are ideal for water sports like surfing and skimboarding, as they see more waves than the southern beaches. 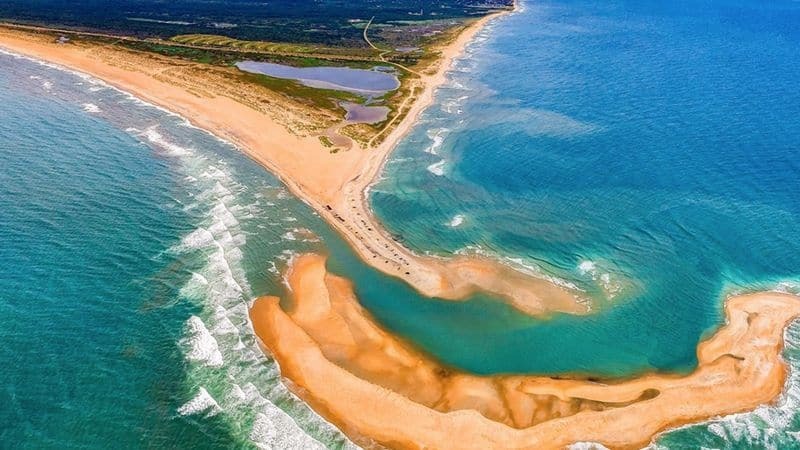 Nags Head also completed a 12-mile beach nourishment program that widened the sands so visitors have more room to spread out. Travelers should be mindful that the public parking is limited in Southern Shores. Those bringing their four-legged friend can head to Duck where dogs are allowed to be off their leash as long as they’re under control. In Kitty Hawk there are a lot of facilities right there at the parking lot including restrooms, showers and John’s Drive-in just down the road. Up the road near Ocean Boulevard Bistro, there’s ample parking, Art’s Place and Winks Market. The beach is a bit narrow, and the sand is not as soft as other areas, but it’s a great location for families. Kill Devil Hills is the oldest official town on the Outer Banks, and arguably, one of its most popular destinations. Located in the middle of the central Outer Banks and bordered by miles of attractions, activities, shops, and restaurants, (and not to mention miles of ocean,) Kill Devil Hills offers vacationers a world of things to do and see. During the day, Kill Devil Hills really heats up with lots of fun both on and off the ocean, and plenty of entertainment for beach visitors. If there’s such a thing as the center of commerce on the Outer Banks, it’s probably Kill Devil Hills. The town may have the best parking available for beach goers and there are a lot of popular places for snacks and meals along the Beach Road. On the northern end of town, the beach tends to be a bit more narrow and steep, but widens toward the south end and into Nags Head. Essentially, for a packed-Outer Banks vacation that has plenty of amenities and action, Kill Devil Hills is a perfect vacation destination. Nags Head is arguably one of the Outer Banks’ most established tourism destinations, and the area remains popular with visitors today for its wealth of amenities, sprawling ocean and soundfront views, and classic Outer Banks style. The sand on the Nags Head beaches has always been some of the finest grain and softest sand around. After beach nourishment–which extends about a mile north of Jennette’s Pier to Cape Hatteras National Seashore (CHNS) on the south end–the beach is very wide with a gradual slope to the ocean. In Nags Head, a beach-loving vacationer can find virtually anything to make a vacation perfect, including some of the area’s favorite restaurants, natural and historical attractions, and miles of fun. Visitors come here year after year for the fantastic Outer Banks beaches and ample entertainment, and have been doing so for generations. An ideal mix of on-the-beach relaxation and off-the-beach amusements, Nags Head remains one of the Outer Banks’ most loved vacation destinations. The little town of Duck has garnered quite a reputation as one of the best vacation spots on the Outer Banks. Regularly appearing on a number of national Best Beaches’ lists, (including the Travel Channel’s best beach directory), Duck features all the elements of a fantastic Outer Banks vacation destination. Enjoy waterfront access on the ocean and sound side, sublime shopping and dining, and plenty of hiking, surfing, kayaking, kite boarding, and beach space to go around. Despite bordering the larger Outer Banks towns of Southern Shores, Kitty Hawk, and even Corolla, Duck retains its small town quirky character and distinctive draw to vacationers from all around the country. The town of Southern Shores has all the secluded charm of the neighboring Northern Outer Banks villages of Duck and Corolla, but with easy (and even walking-distance) access to the busy central Outer Banks’ treasure trove of restaurants, shops and attractions. 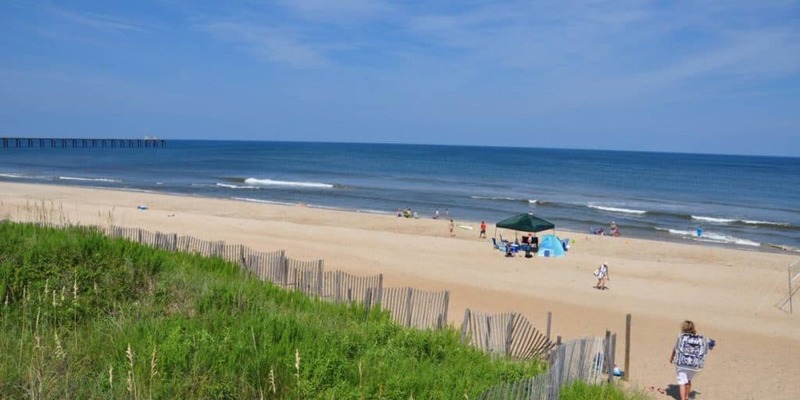 A combination of rich maritime forests, quiet residential beaches, and a handful of restaurants and shops, Southern Shores is an ideal vacation locale for families who want to be away from it all, but still remain close to the big Outer Banks attractions. Corolla, in Currituck County, may have the best beaches on the Outer Banks. Wide beaches and soft sand with a gradual slope to the ocean–what more could you want? A personal favorite for access sites is the southernmost beach access in Corolla. There’s a shopping center directly across the street, with restrooms and showers available. It’s a bit of trek to the beach, along a boardwalk, but the trip is well worth it. There are additional public access spots farther north–for the most part located along Lighthouse Drive. There’s adequate parking at all these sites, but no facilities. Corolla adds a touch of modern class to the classic Outer Banks vacation. Prized for both its seclusion and its abundance of upscale but funky shops and dining options, Corolla is the ideal vacation destination for families who are just as happy lounging on the beach in flip flops as they are indulging in an afternoon at the spa. The small-town beach community combines all the best elements of a five star resort vacation, while still encompassing that laid-back Outer Banks style that embraces the beach life. With minimal development but lots of amenities, Corolla is perfect for those who want to get away from it all, but still enjoy all the best dining, shopping, water sports, and amenities that the Outer Banks has to offer. Arguably the Outer Banks’ last frontier, Carova is renowned for its miles of privacy, including clean white beaches, a scattering of rental homes, and wild mustangs that roam freely from the ocean to Carova’s small residential neighborhoods. Carova’s seclusion is easy to explain, as there are no paved roads leading to this vacation spot, just miles of sand tracks that border the Atlantic Ocean. Vacationers who love the beach and don’t need all the extra fuss flock to the area in small crowds, soaking up private stretches of beaches, and enjoying the peace and quiet. 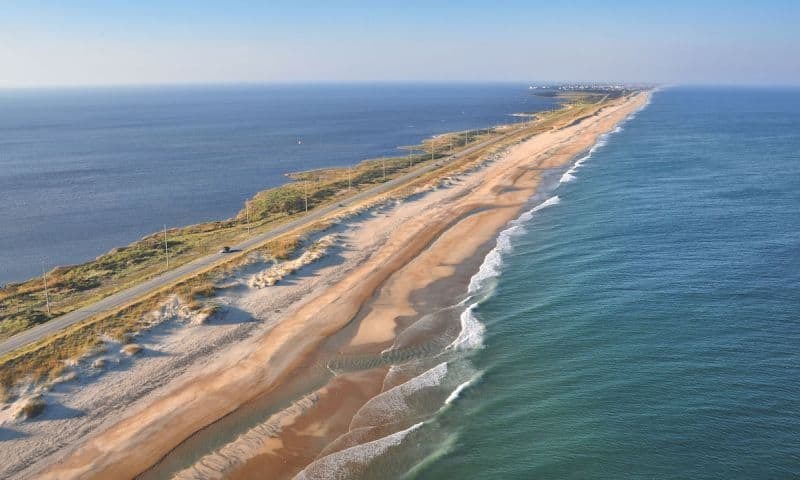 Most every visitor who comes to Hatteras Island will make a stop in Buxton, either for the exceptional fishing off of Cape Point, the amazing kiteboarding and windsurfing at the Canadian Hole, or for the incredible views from the top of the Cape Hatteras Lighthouse. Buxton arguably has the lion’s share of attractions on Hatteras Island, and over a million visitors a year make a trek to see the Cape Hatteras Lighthouse in Buxton alone. 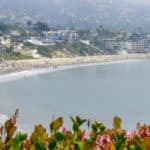 Buxton is a quiet small town, and a mixture of rental communities, charming and decades-old motels, and welcoming oceanfront and sound front vacation rental homes. If your family wants to be close to the big name attractions on the island, as well as some of the best fishing, kite boarding, windsurfing, and hiking the Outer Banks has to offer, then join the countless vacationers who have fallen in love with Buxton. While driving along NC Highway, it may be difficult to identify the little town of Waves. The village is sandwiched in between Salvo and Rodanthe, and the area in its entirety is known to locals as the “Tri-Villages,” with no undeveloped gaps or markers to distinguish one small vacation town from the other. That’s not to say, however, that Waves is lost in the shuffle. 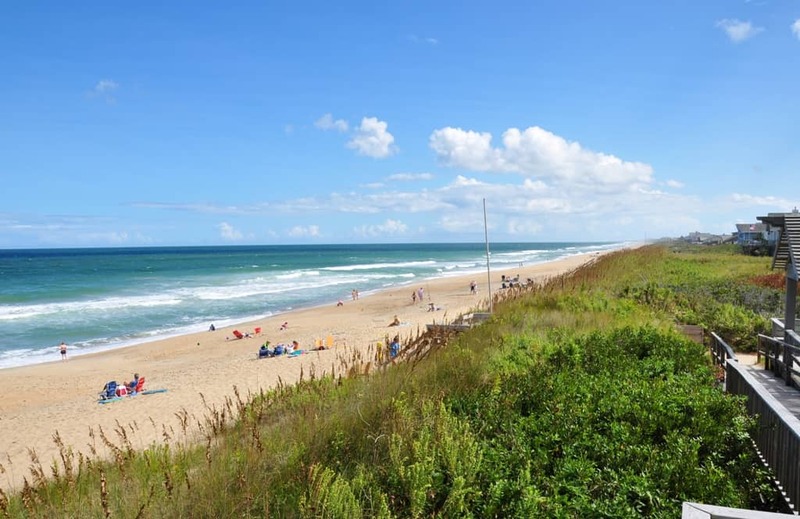 The town is home to two of the Outer Banks, and arguably the East Coast’s, biggest water sports companies, features a small number of charming restaurants and cafes, and offers superb access to gorgeous oceanfront and sound front beaches. 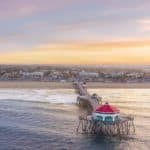 Waves may be a small town, but it’s big on coastal appeal, and vacationers will surely love the quiet beaches, charming shops, and miles of water to play in and explore. Rodanthe has always been the setting for incredible stories, including daring oceanfront rescues, tumultuous hurricanes, and today, fantastic beach vacations. 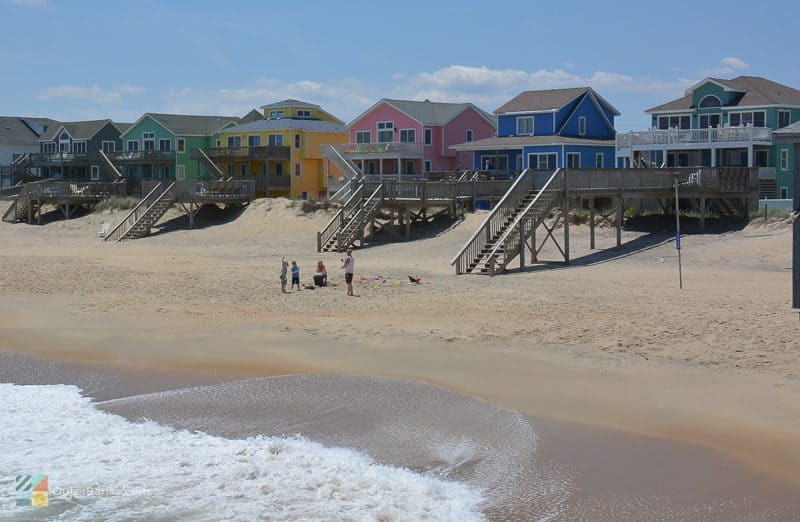 Visitors to Rodanthe can expect all the romance of wind-swept beaches and secluded coastal cottages, as well as modern Outer Banks amenities such as exceptional kite boarding schools and launching points, and local gift shops and locally run restaurants. For a romantic vacation that’s miles away from the real world, with some of the best water sports access on the East Coast, Rodanthe is definitely worth a visit. Start with a sunrise and end with a sunset. It’s one of the unique features of the Brunswick Islands and the 45 miles of south-facing beaches that allow you to see both here. In between, fill your day with an endless array of activities such as boating, fishing, shopping and dining. Sharpen your swing at 35 courses that earn the area its nickname, North Carolina’s Golf Coast. Plan a romantic getaway or even a wedding on vehicle-free Bald Head Island. Or just spend a day with the kids at Holden Beach, named best for families by Dr. Beach in 2012. This section of Oak Island is a place you can truly unwind in classic beach-vacationing style. Spend a day visiting the lighthouse—one of the brightest in the United States with a beacon that reaches about 16 nautical miles offshore. Do some surf-casting and reel in a fresh catch for dinner, or simply relax on the beach and stroll at low tide to search out fine shell specimens. You and your family may find yourselves with the beach all your own as Caswell is the least populated of all the Island beaches. In fact, the only commercial establishment here is the Oak Island Golf Country Club. But as remote as Caswell may sound, it’s really only a mile or so from all the shops and restaurants of Oak Island. 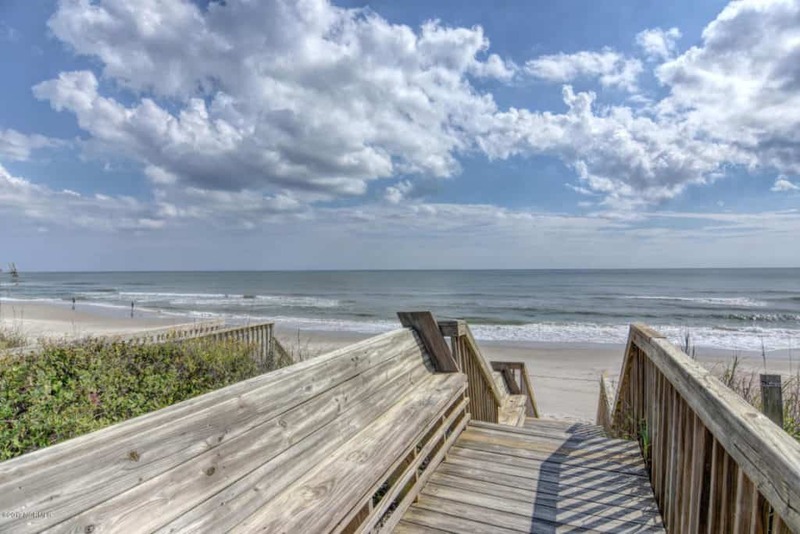 So, if your perfect vacation is a quiet, secluded beach that’s only a minute or two from all the conveniences, Caswell Beach is calling your name. Named best family beach in the United States by Dr. Stephen P. Leatherman, also known as “Dr. Beach,” Holden Beach offers small-town charm and unspoiled beauty. Navigate a kayak or canoe along the picturesque Intra-coastal Waterway, and keep watch, for you may glimpse endangered loggerhead sea turtles as they surface for air. In this naturalist’s—and wildlife—haven, you’re sure to find something to delight your whole family—from spotting dolphins in the surf to playfully chasing ghost crabs with flashlights during an evening stroll. Have lunch on-the-deck at one of several restaurants that sit beside the Intra-coastal Waterway. You can watch shrimp boats cruise by as they make their way to and from the ocean. And, don’t miss the North Carolina Festival by the Sea, a celebration with arts, crafts and seafood that draws people from all over. Ocean Isle combines low-key relaxation and family adventures at every turn. Venture along the shore, and scan for signs of sea turtles and hatchlings journeying to the ocean. Or catch a wave at one of Brunswick surfers’ favorite spots. Visit The Museum of Coastal Carolina to experience more sea life, with a life-size diorama and touch tanks. Around town, you’ll find lots of things that make a beach vacation great, such as restaurants and hangouts with outdoor decks. If you time your visit right, take part in the North Carolina Oyster Festival, where you can shuck a bucket or two and take part in judging the Oyster Stew Cook-Off. Enjoy the award-winning Silver Coast winery, specialty shops, and more. Or if you’re feeling adventurous, try zip lining through the trees or a swamp boat eco-tour at the Shallotte River Swamp Park. Bring your family for a refreshing vacation, and discover what awaits on Ocean Isle Beach. At the tail end of the Brunswick Island chain, Sunset Beach has the distinction of being the Southern-most surf in North Carolina. But while it may be last in geography, many find it a the top-of-the-list for a quiet, old-fashioned, retro, beach vacation. A walk to Bird Island is always a family favorite. For almost a mile, the beach houses give way to one of the most untouched shorelines in Brunswick where all that separates you from the surf and marsh is a wide stretch of beach and dunes. Discover sun, moon and stars at the Ingram Planetarium, or by simply taking in the sunrise or sunset, both of which can be seen over the water several months of the year due to the island’s unique positioning. Go to Sunset Beach to reconnect with nature—and with your family as well. Along the rare, south-facing beaches of the Crystal Coast, you can see relics from Blackbeard’s infamous ship, Queen Anne’s Revenge at the North Carolina Maritime Museum. Meet playful otters and an albino sea turtle at the Aquarium at Pine Knoll Shores. Experience history by exploring, running and climbing through it at the Fort Macon State Park. Watch wild horses racing the shores of Shackleford Banks or climb nearby Cape Lookout Lighthouse. And discover why Beaufort was voted America’s Coolest Small Town by Budget Travel readers in 2012. Surf, sand and fun are just the beginning at the Crystal Coast’s Atlantic Beach. With easy beach access to one of Coastal Living Magazine’s “Best Beaches” and a range of accommodations and dining options to enjoy, this town is a wonderful place to call home during your seaside stay. Take advantage of one of the area’s popular fishing piers, where you can throw a line in or catch a wave off the break. Plus, rest easy that everything from the beach sand to the historic Fort Macon State Park are just a casual walk or bike ride away. Indian Beach is located in the middle of Bogue Banks, in between Atlantic Beach and Emerald Isle. Public beach access is available to this pristine sand at designated locations, as well as easy access to the waters of Bogue Sound. Plus, enjoy restaurants and seafood markets with the freshest catch for dinner in your beach cottage or rental. The greater Topsail area is one of three quieter beach destinations on the southeast coast of North Carolina. Local legend claims the name originated from shipping merchants in the 1700s. Pirates would hide in the channel between the mainland and the barrier island and seize merchant ships when they got close. Hidden by the island, the top sails of the pirate ships were the only clue of impending danger. Today this tranquil area includes North Topsail Beach, active Surf City and Topsail Beach, along with the mainland towns of Holly Ridge, Jacksonville and Sneads Ferry. Topsail Beach is home to the famous Karen Beasley Sea Turtle Rescue and Rehabilitation Center where staff and volunteers care for sick and injured sea turtles. Once the turtles are well, they are released back into the ocean. A short walk for the Sea Turtle Hospital is the Missiles and More Museum where visitors can learn about the unique history of the island. During the third week of October, the town hosts “Autumn with Topsail,” a festival that features juried artists who are displaying and selling their work. 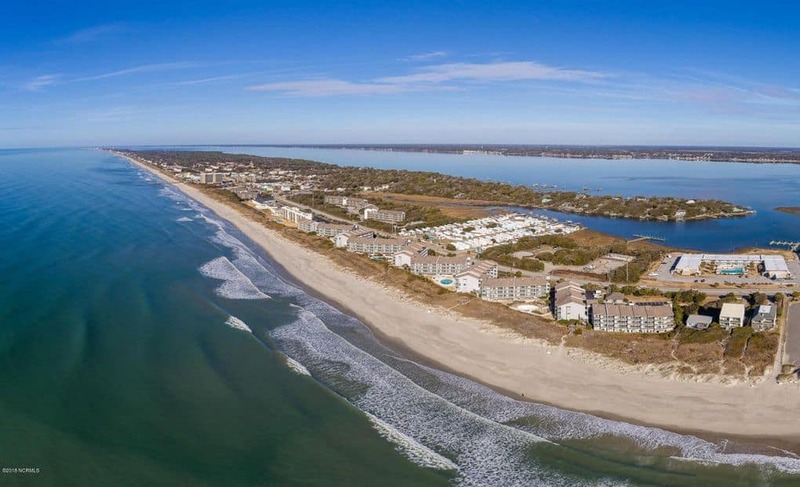 Surf City has been the commercial heart of Topsail Island for over 60 years. The town has grown from a small fishing village that was home to a handful of families to a year-round community of around 1,900. Visitors enjoy Surf City as “the way the beach used to be,” quiet and serene. Surf City’s clean and uncrowded beaches have become the town’s main attraction where visitors can enjoy the sand on their feet and the peaceful rhythms of the ocean under a deep blue sky. Surf City is home to a variety of indoor and outdoor dining facilities that feature coastal Carolina cuisine. The central business district offers a surprising choice of shopping opportunities from gift boutiques outdoor equipment suppliers. West of Surf City, Topsail Sound and the Intracoastal Waterway separate the island from the mainland. This narrow body of water provides the perfect setting for canoeing, kayaking, water skiing and fishing. With both village charm and a cosmopolitan lifestyle, the Wilmington Historic River District and Island Beaches offers great dining, unique shops and vibrant nightlife. Downtown, stop at a quaint café, take a garden stroll, tour local film sites or board Battleship North Carolina. Visit in April to see incredible color fill the streets during the North Carolina Azalea Festival. Cast a line off the Atlantic’s oldest fishing pier at Kure Beach, learn to surf at Wrightsville Beach, or explore one of Food & Wine magazine’s top 10 boardwalks at Carolina Beach. Carolina Beach offers an original kind of beach experience from the past combined with a fun, family-friendly spin for today. 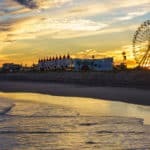 Visitors can experience a vintage, nationally-recognized seaside boardwalk, live music, miles of beautiful beach, world-class fishing, one-of-a kind festivals and events, and all kinds of people united by good times that are unmistakably Carolina Beach. Trade your ordinary summer beach vacation for an extraordinary one. Enjoy classic seaside fun at the Carolina Beach Boardwalk. Enjoy a hot donut from the famous Britt’s Donut Shop, or one-of-a-kind family fun at the boardwalk’s seaside amusement rides, weekly Boardwalk Blast series featuring fireworks and the Free Movies at the Lake. Beach nightlife heats up when the sun goes down with live music at local tiki bars. 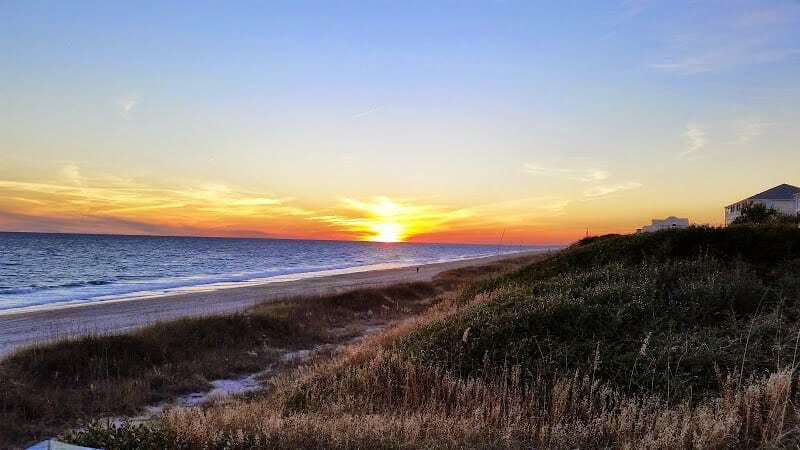 Let the peaceful small town atmosphere of Kure Beach transform you. 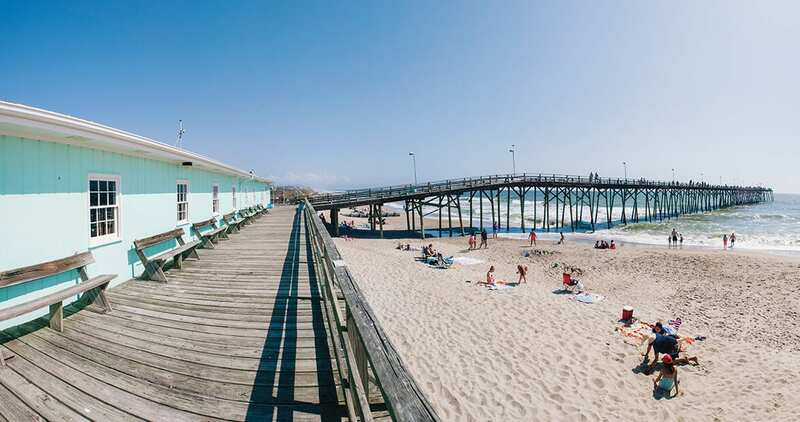 Home to the oldest fishing pier on the Atlantic coast, an oceanfront park, a nearby state aquarium and beautiful natural surroundings, Kure Beach provides the perfect setting and relaxed pace for you and your family to reconnect in this pure and natural playground. This small town gem is big on things to do this summer. Dance seaside at the Boogie in the Park concert series. Visit the North Carolina Aquarium at Fort Fisher for their special Dinosaurs! and Butterfly Bungalow exhibits. Kids will love participating in summer programs at the aquarium or at the Fort Fisher State Historic Site. Fish off the Kure Beach Fishing Pier or just hunt for seashells. Wrightsville Beach is North Carolina’s most accessible beach and known for its clear blue waters and spacious, clean beach. With an abundance of water sports and outdoor activities and a vibrant social scene, there’s never a shortage of something happening year-round. Kayak or paddle board, tame the area’s world-class surf, reel in a prize-worthy fish, or just enjoy the spectacular views during an evening harbor cruise. This walkable, village-like town is known for its welcoming, social community. The island heats up with signature summer concerts, surfing competitions and more. Ride the waves with a surf lesson or stand up paddle board excursion and explore farther out on a fishing charter or a scenic cruise. Kids of all ages will love activities like pirate-led treasure hunts and coastal science camps. Or just relax on the beach and do nothing at all! I live in Southern Shores and I am so glad you picked our beaches as the best beaches in North Carolina because they really are. The atmosphere here is unique here too. I love the Outer Banks beaches. Kill Devil Hills is my favorite. My friend had a beach house down there. 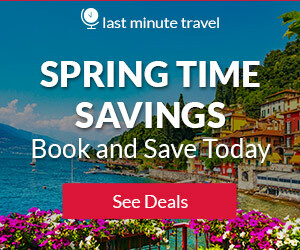 It can be pricey during the summer, but you can find great deals off season (around Memorial Day or Labor Day) and the weather is still great. I agree and off season is wonderful, less crowds, less expensive, and weather is still beautiful. Thanks for visiting the best North Carolina Beaches. Glad you enjoyed Jesse and you will have a blast! Thanks for stopping by and reading about the best North Carolina Beaches! 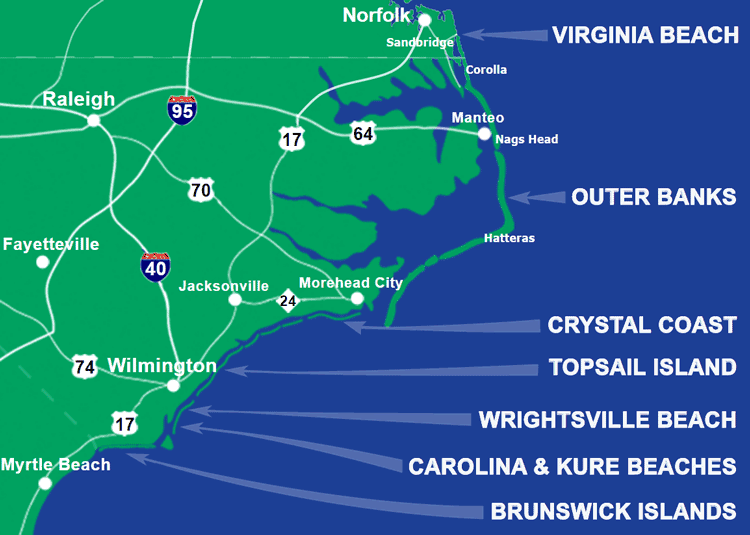 What an incredible amount of destinations in North Carolina!!! I never knew there were so many spots really, there is something for everyone, and I believe consulting you personally, one can get an organized trip to visit many of them in one go and make it an unforgettable experience!. I am thinking that could be something that I can do, plan to see as much as possible in my holiday time. The first place to visit, thanks to your amazing Imagery: The Kill Devil Hills! Leah Rae, you are providing here a fantastic service for travelers and the general public alike. I am a true fan of your work! Thank you so much Pable for your very kind feedback! I try to help others with my passion, and I do know my beaches 😀 Thanks for stopping by and visiting the best North Carolina beaches! I was excited to read this post. I am very familiar with these beaches because I live in North Carolina. In high school, we took a trip to the outer banks and saw Cape Hatteras and the lighthouse. We also saw wild ponies. My brother and his wife went to Wrightsville Beach for their honeymoon honey. Many of my friends have gone to Atlantic Beach and Virginia Beach. Virginia Beach is probably the most popular. My sister is enjoying the beaches of Wilmington this weekend. She is probably enjoying the waves, breezes, and sand between her toes as I write. Another great post. Love the map! You do live in a beautiful state! And the beaches in North Carolina are wonderful. I agree, that Virginia Beach is pretty popular and well known as well. Awww, how nice to enjoy the waves, ocean breeze, and of course sand between the toes! Thanks for visiting the best North Carolina Beaches. Wow, I never knew that wild horses loved going to the beach. Guess there must have to be somebody in charge of cleaning up after any big messes that they leave or it would get quite ripe. 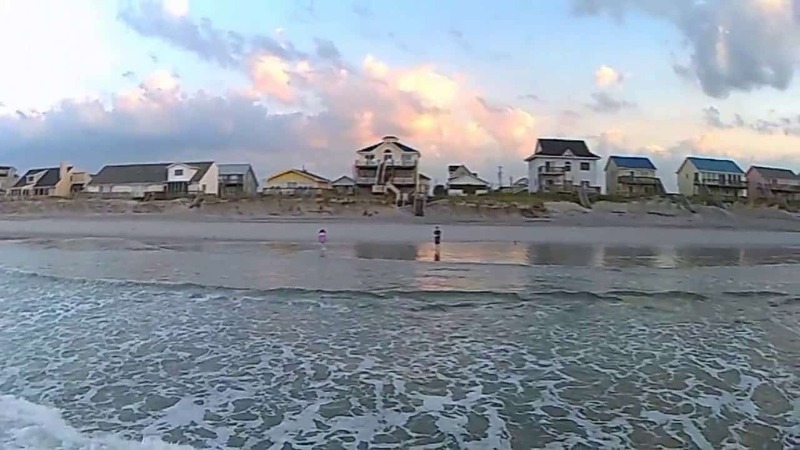 Seems like you hear about beaches mentioned everywhere else except North Carolina it’s it really too bad because the image at the beginning makes it look like one of the best places to explore. It is too bad, because it is absolutely beautiful here in North Carolina and they have some wonderful beaches. One good thing is that it would tend to not get as crowded as say, Clearwater Beach where I live. 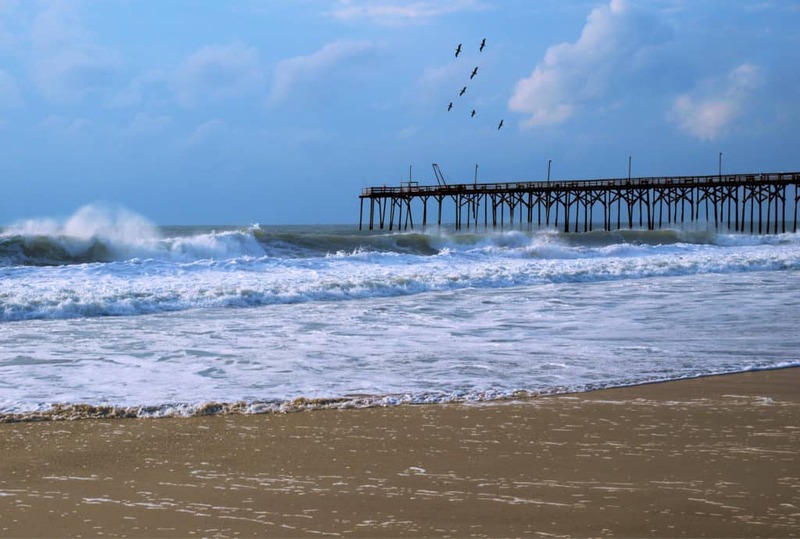 You will have to explore and enjoy the best North Carolina beaches soon ! Thanks for stopping by! I would never have thought of North Carolina as a place with great beaches. When I think of NC, I think of good BBQ, great Southern food. I wonder where I got that idea from? I think I’d like to visit Topsail Area because of its history. Pirates hiding the channel waiting to seize merchant ships? I love it. Great post. One day I will definitely go to the north carolina beaches. They look absolutely beautiful, i would love to learn how to surf, one day i will! You have literally given me so much detail for each beach, it will help people incredbily when making a decision. I love this article, if i ever go there i will definitely use your website for guidance. Thank you so much Matthew and thanks for visiting! Interesting post. I would love to visit many places while I am able to, and your post is so informative. It motivates me to visit these places with my family. I am especially interested in Atlantic beach because I saw it on HGTV..lol. I grew up by the beach and the list of all those North Carolina beaches are so inviting. I will visit your page again when I am planning my vacation. Awesome article! I live in North Carolina, and this is something i’ve always been curious about. My fiancee is an absolute beach fanatic. We just recently travelled to Top Sail and loved it. We also stopped by South Port which was a really cool little town, although I guess not many beaches right there. We will also be travelling to Duck in a few months. I’m so glad to have a great guide like this now. Thanks for the great info! I really enjoyed reading your post. I was born and raised in North Carolina about 100 miles from the coast. I have been to most of the beaches. Cape Hatteras is one of my favorite beaches, along with Nags Head, and Carolina Beach. There is a beach for everyone and they are very family friendly. Yes, I agree! It is a GREAT place to take you family and the beaches are wonderful. Glad you enjoyed reading! I used to go to North Carolina all the time, but never to the coast. Maybe next time I go I should look into going to the beach. There really is a lot more here than most people think, a ton of very nice beaches! North Carolina is a beautiful place for beaches! I just wish I knew how to surf! You and me both Matt. My son picked up surfing about a year ago and he is already doing competitions. He keeps bugging me to try, so I am going to do it. I love the water and it looks like so much fun! Those places look really nice! My husband (fiancè at the time) was stationed in Virgina for a few years and I remember some of those names (like Nags Head, Outerbanks…) as I probably heard of them somehow. We never visited though. If they stationed him back there I’ll check them out! You have to do it. Most people do not realize the amount of beaches that they have and the atmosphere is awesome.